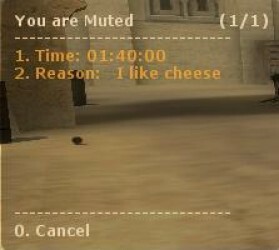 Simple script where players can type !votemute and a menu comes up with players being allowed to choose which person to mute. 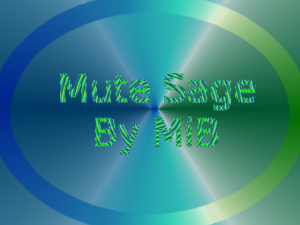 An conversion from my original Mute Sage script into Python. Votemute par joueur version voteban, votekick et votemap de mani. 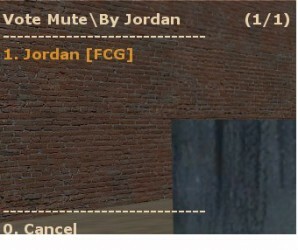 Type !votemute to votemute players! 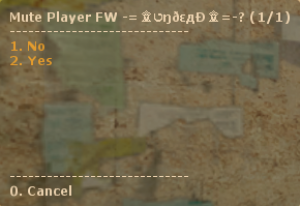 An Anti-Spamming addon with different and nice functions !.. trés pratique en BaJail les mort qui se taise!